Beautifully upgraded home with incredible panoramic views in the hills of Corona bordering Yorba Linda. A magnificent 4 bedroom and 3 bathroom home. Dining room, Family and Kitchen all have views into the tranquil backyard and mountain views, with stunning sunrises and evening city lights. Nice cozy breeze with lots of sunlight.The home has a large living room with high ceilings & spacious dining room. The rooms boast new wood flooring & designer d+-cor. The kitchen boasts plenty of counter space, new stainless steel appliances and great views and custom cabinetry. The kitchen opens to a warm family room and fireplace. Up the grand staircase, find four bedrooms with another two large bathrooms. The master suite is oversized with vaulted ceilings and an amazing view outside. The bedroom opens to the master bathroom featuring dual vanity, wood flooring, large soaking tub, shower and walk in closet. The large backyard features open space, attached patio and pool w/ spa. Other features include recessed lighting, new paint throughout, new wood flooring, new water heater, new base boards, new hardware, new granite, 3 car garage, and gorgeous landscaping. Come explore everything the Sierra Del Oro community has to offer including parks, great schools and local shops and restaurants. 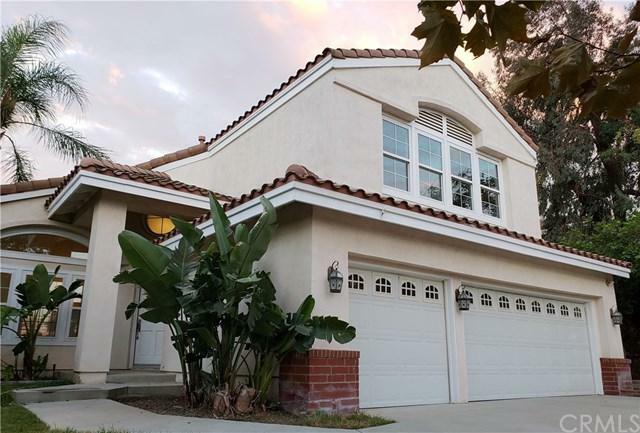 Home is close to shops, schools, metro-link station and easy access to the 91fwy and start of toll roads.Possibility to quickly increase property value over 100k by adding a sunroom.